Honeywell Video Systems, a trusted provider of high-quality surveillance equipment, has recently announced the expansion of its Performance Series IP line of cameras. These high-quality surveillance cameras offer reliable image capturing capabilities at an affordable price and they are easy to install and maintain. Learn more about these new offerings in today’s blog, below. Honeywell has expanded its line of ip video surveillance cameras. The Performance Series IP cameras are meant to provide quality imaging at an accessible price point. Seven new IP cameras are being introduced to the line and they will include ball, bullet, and dome designs. These cameras are designed for commercial applications, such as retail stores and office buildings. A number of the devices utilize advanced technology features such as a Motorized Focal Zoom which automatically focuses the lens when the user zooms in and also offers the opportunity to adjust both the field-of-view and camera focus. With their high-resolution and incredible pixel detail, these IP video surveillance cameras are able to produce crisp images that allow security managers to effectively manage facilities. In order to avoid distortion of the screen, the Performance Series IP line also feature correct object-aspect ratio which helps to ensure reliable imaging. The cameras are designed to be used with Honeywell’s Performance Series line of embedded NVRs and are supported by Honeywell’s standard warranty and customer service support policies. The Performance Series IP offer a flexible security solution for commercial facilities. Their simple plug-and-play installation process means that you can have your cameras up and running in a short time and cameras can be monitored from anywhere at any time using an app that can be accessed from smartphones, laptops, and tablets. 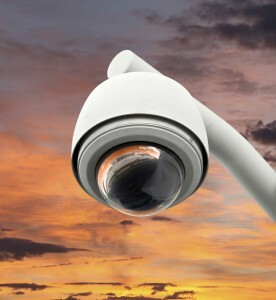 Many cameras in the line also feature waterproof casing material, making them an excellent choice for outdoor uses, and day/night capabilities assure that you will be able to effectively keep an eye on your facility no matter the time of day. This entry was posted on Thursday, March 17th, 2016 at 12:52 pm. Both comments and pings are currently closed.